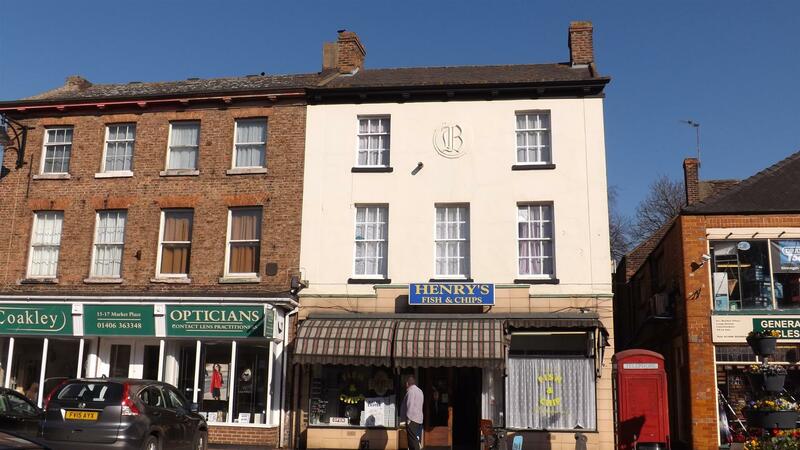 A THREE BEDROOM FLAT ABOVE HENRY'S FISH AND CHIP SHOP, located in Long Sutton Market Place. Lounge, Dining Room, Kitchen, Bathroom a, 3 x Bedrooms and separate shower room. Gas heating. Spacious accommodation over three floors. Including Living Room, Dining room, Kitchen, Three bedrooms. Bathroom, Separate shower room with second W.C. Gas central heating. Please note there is no residents parking but there is parking available in the Market Place subject to the usual restrictions. Situated within easy reach of the amenities of Sutton Bridge centre to include shops, pubs, restaurants, a primary school and a regular bus service to Spalding, Long Sutton and Kings Lynn. Unfortunately No Pets are not allowed at this property. Administration costs of £145.00 including VAT per applicant apply.